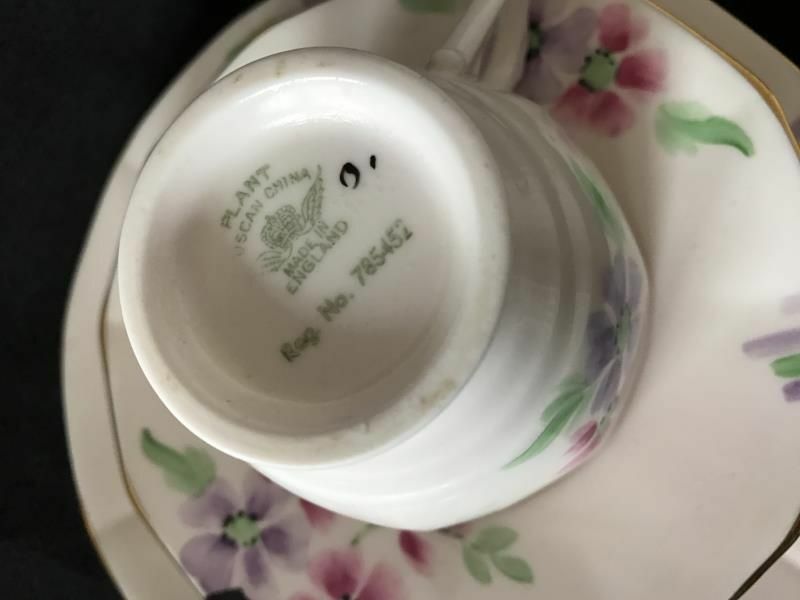 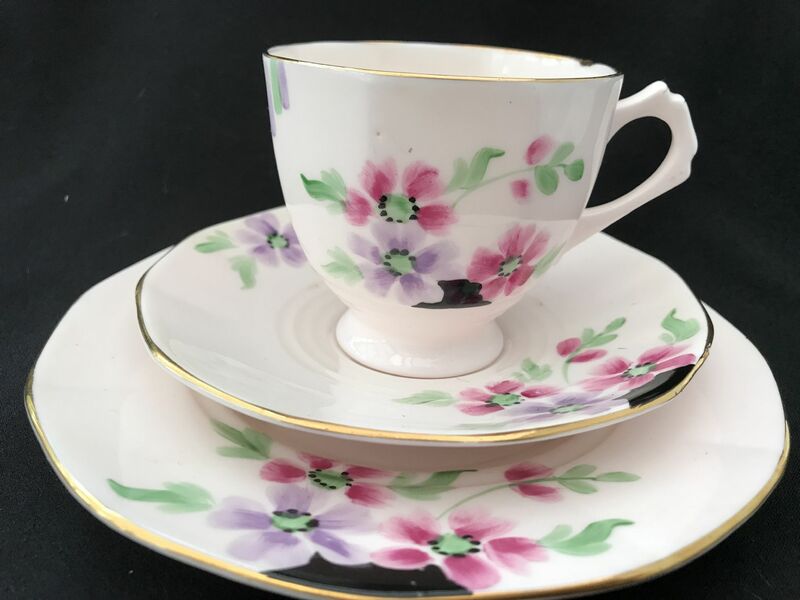 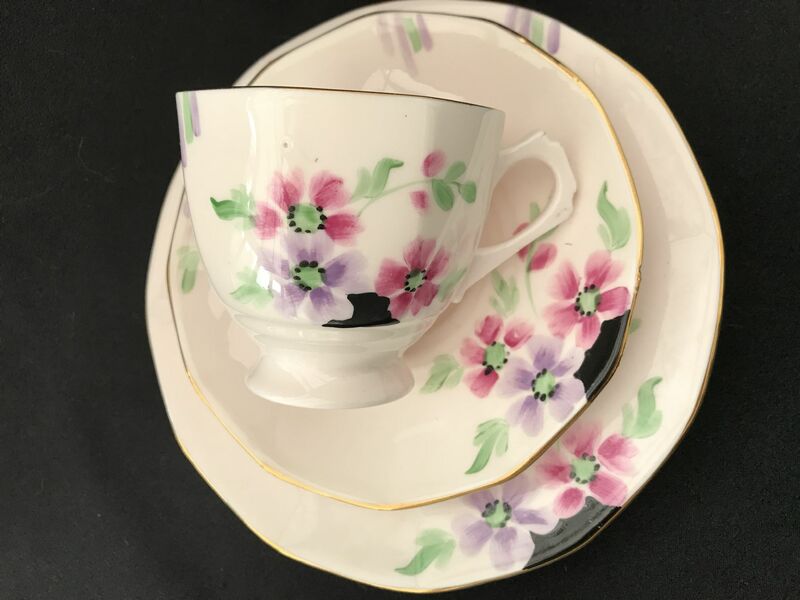 An Art deco tea trio by Tuscan china. 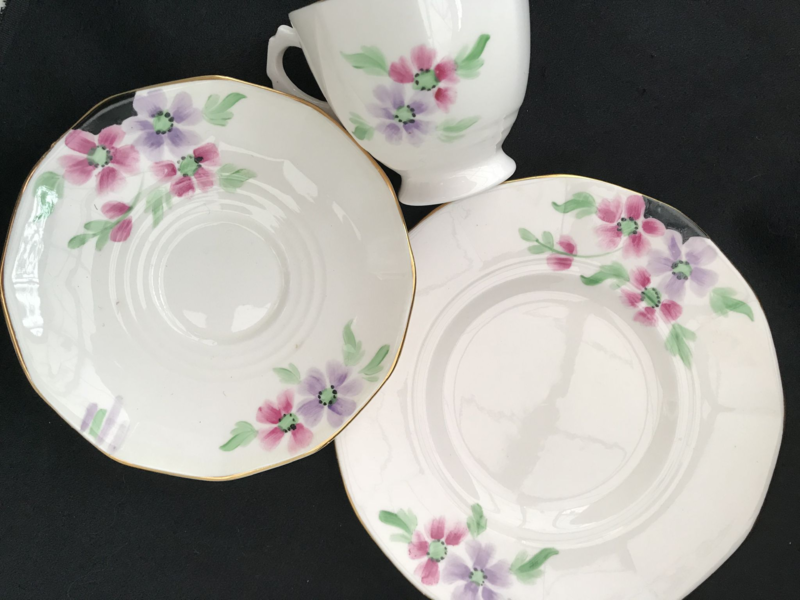 Pale pink china with a simple hand painted floral pattern. Cup shape typical of the period.